brownie recipe | chocolate brownies | eggless brownie recipe with detailed photo and video recipe. 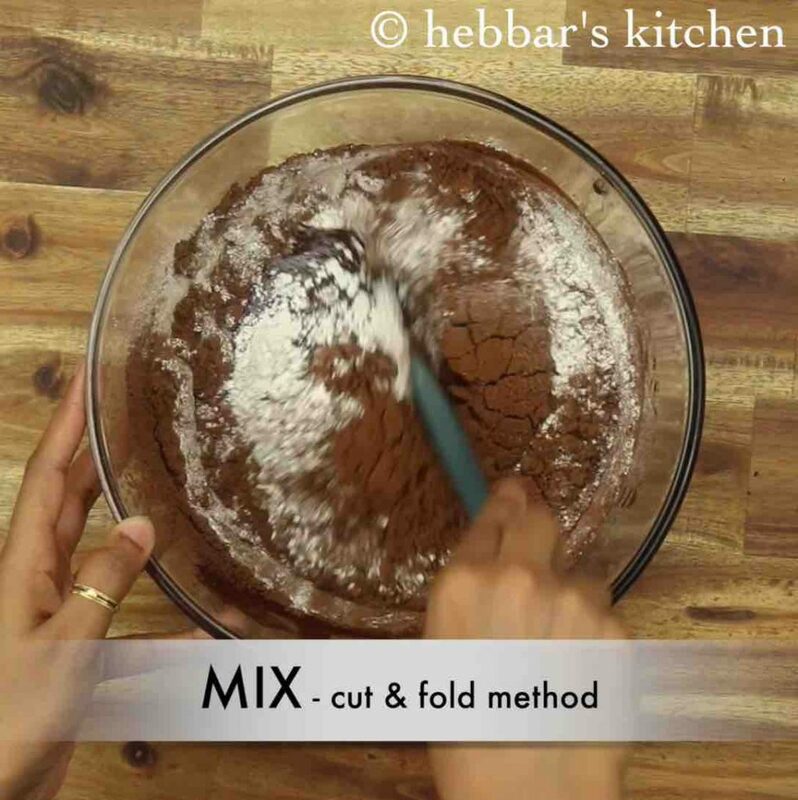 a square shaped chocolate filled dessert recipe made with cooking chocolate and plain flour. the appearance and texture is very similar to a cake but has a hard density with fudgy consistency. 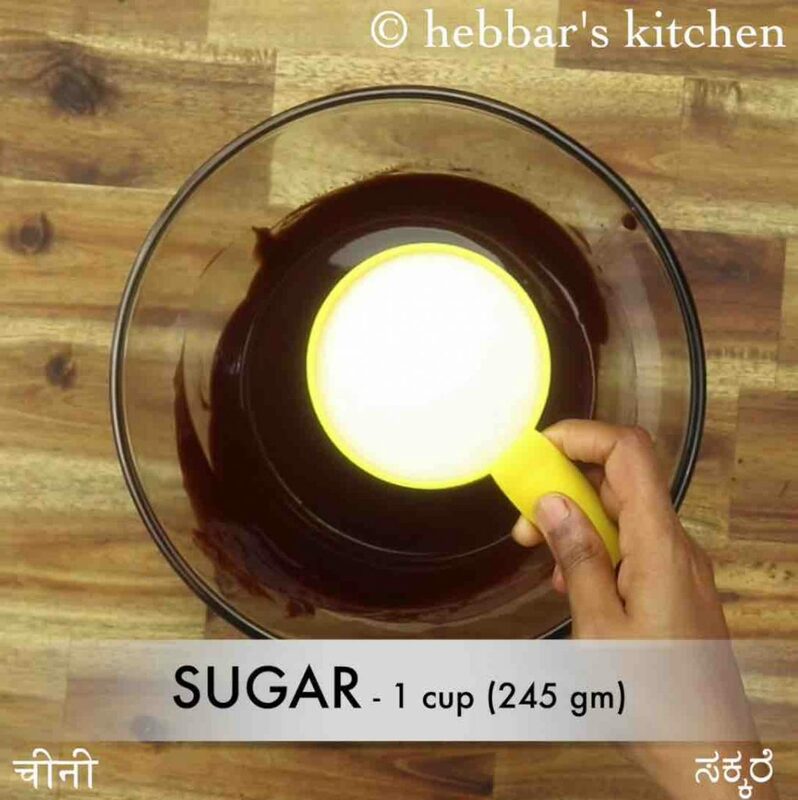 it can be served as a dessert or perhaps as evening snack with cup of tea making an versatile chocolate flavoured dish. 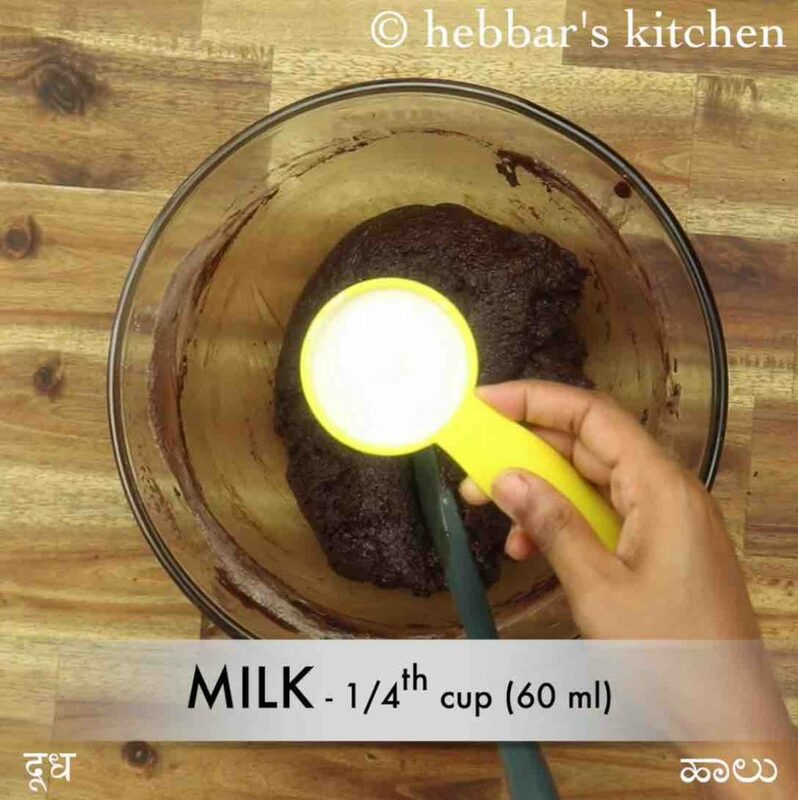 brownie recipe | chocolate brownies | eggless brownie recipe with step by step photo and video recipe. chocolate recipes are quite common across india and are either cakes or perhaps take the milkshake form. but there are other recipes from chocolate has garnered lot of attention especially within the younger generation. 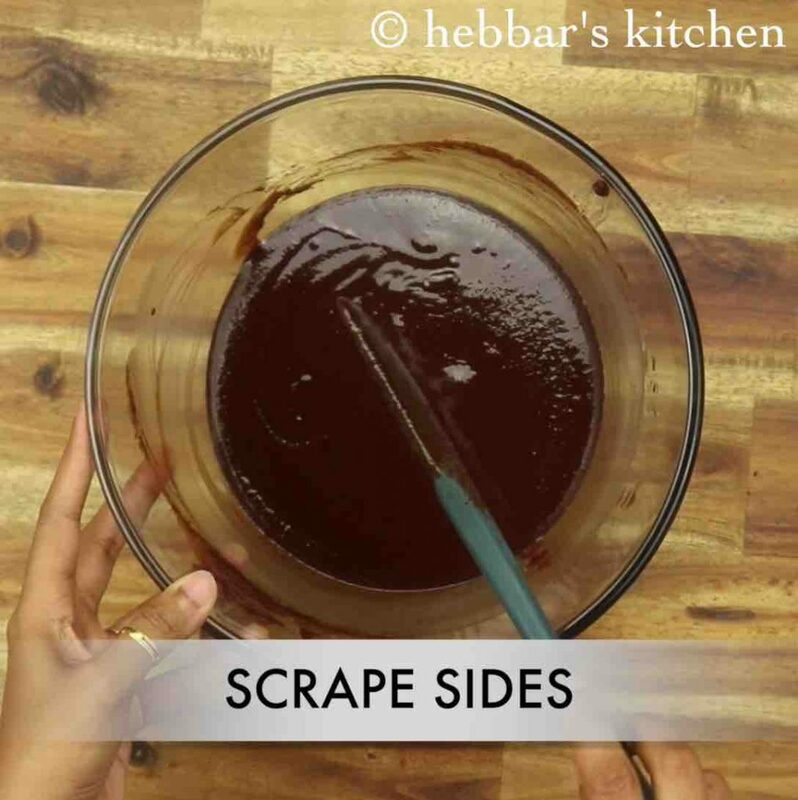 one such recipe is chocolate brownies which are similar to the indian barfi recipes. 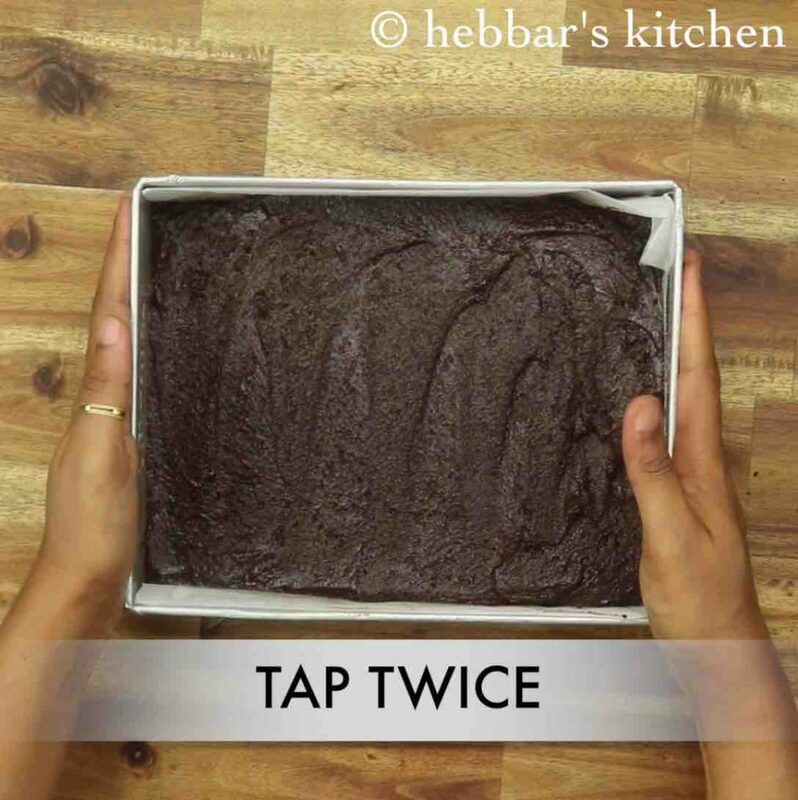 the recipe for chocolate brownies can be overwhelming for the beginners and may not be as simple like baking any cake recipes. as matter of fact, it took me 3 attempts to get the perfect texture for this brownie. 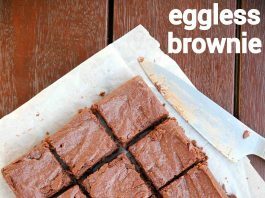 most of the recipes available for brownies are made from egg yolk which makes it easier as compared to eggless brownies recipes. 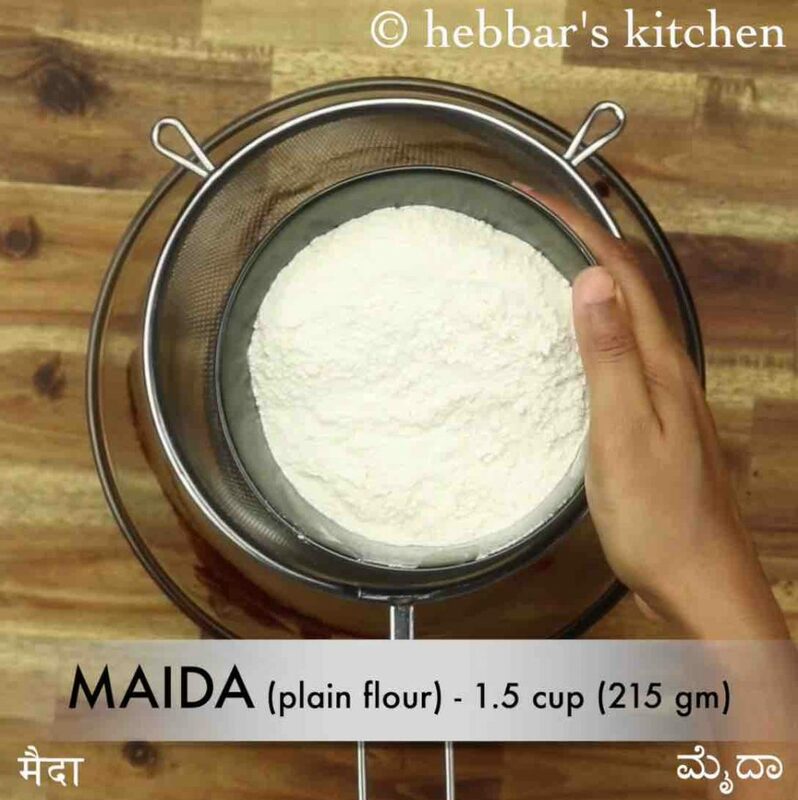 the quantity of the cocoa powder, plain flour and the baking powder and soda has to be at the right amount to get the hard and muddy texture. in addition to get the right texture you need to have a best quality of cocoa powder. hence do not compromise on the quality of it. furthermore some tips, variations and suggestions for a perfect and fudgy chocolate brownie recipe. 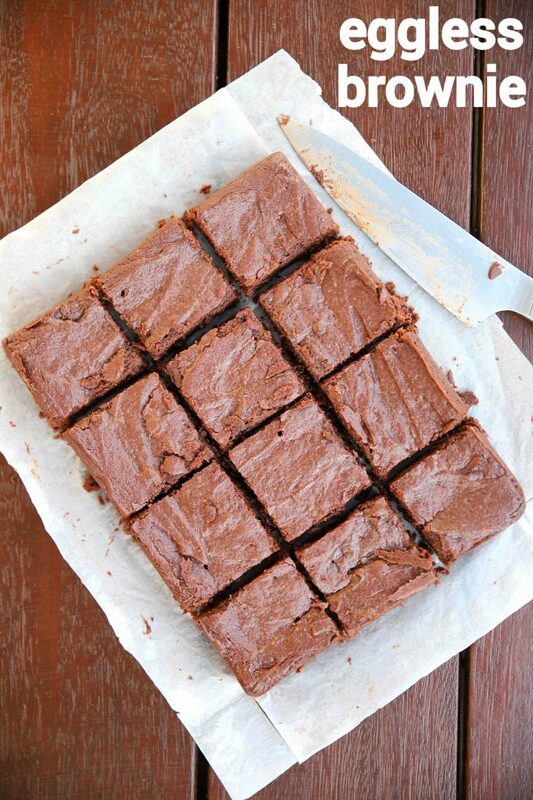 firstly, i would heavily recommend to use square or rectangular tin to bake these brownies. do not use round tin or a traditional cake tin as it may not shape it properly. 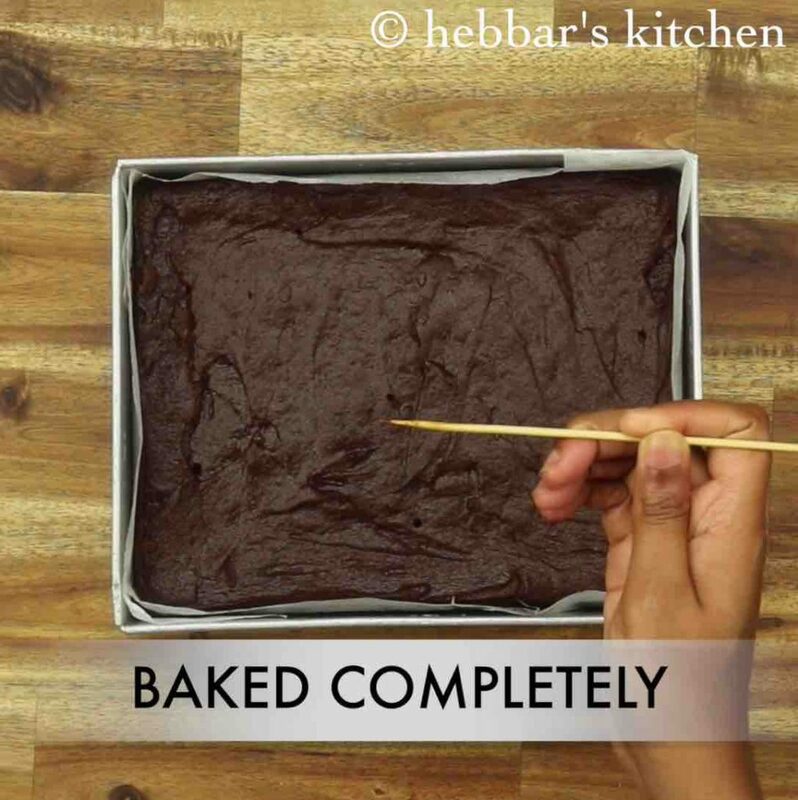 secondly, bake these brownies in lower temperature so that it gets baked evenly. you can also try to bake these in cooker, and you may refer my cooker cake for the detailed instructions. lastly, the brownies tastes better when served next day as it gets cooled down properly. hence if you are planing to serve these for occasions, plan it well ahead in advance. 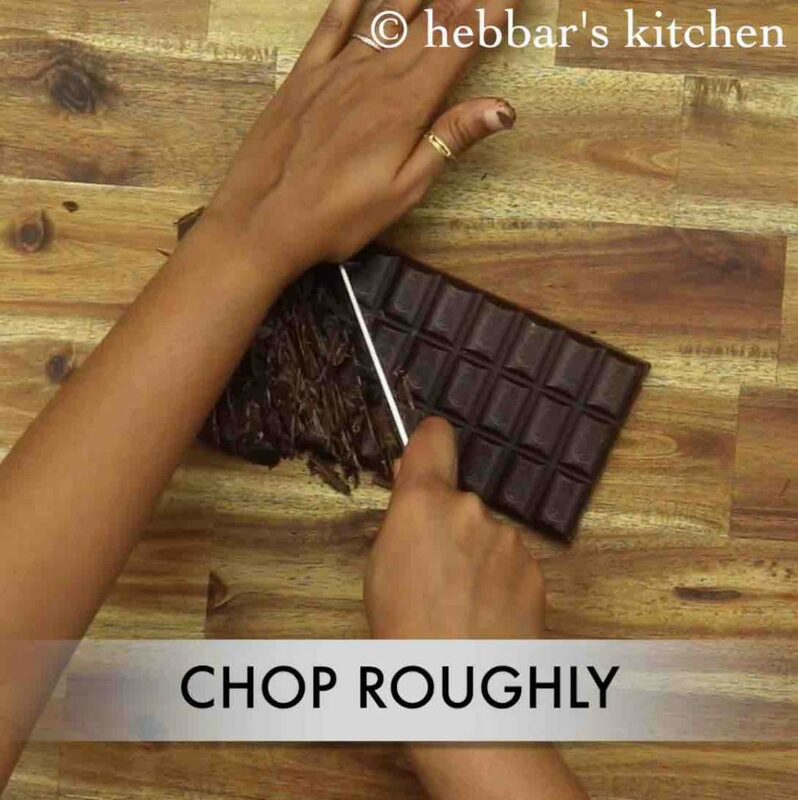 firstly, roughly chop 200 grams dark chocolate. i have used 75% cocoa dark baking chocolate. 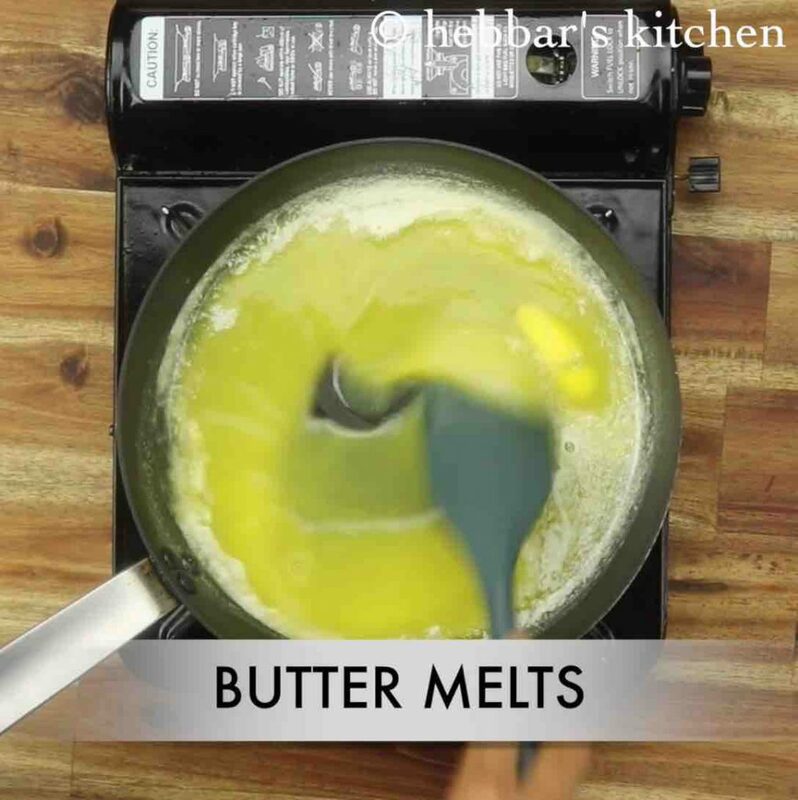 pour the melted butter over chocolate. 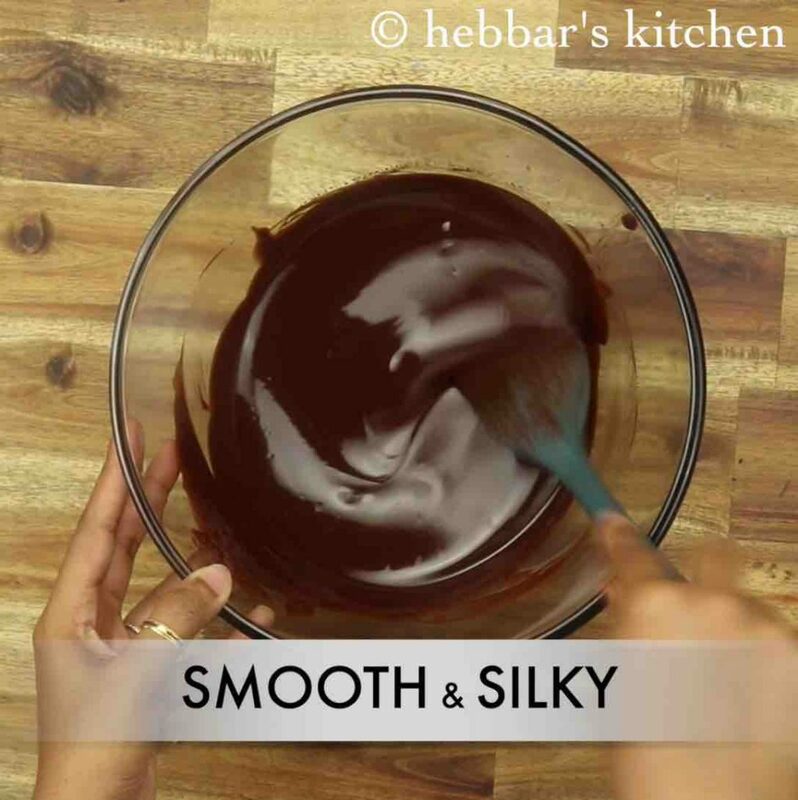 stir continuously until the chocolate melts completely. now add in 1 cup sugar and stir well until sugar dissolves. also, add ¼ cup curd and 1 tsp vanilla extract. stir well until the mixture turns smooth and silky. 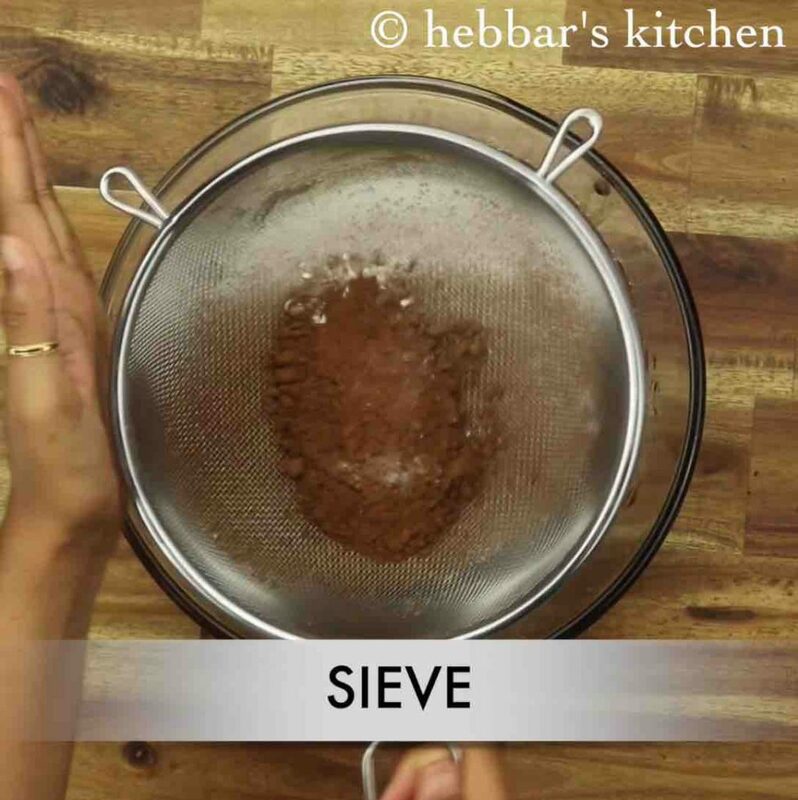 place the sieve and add in 1½ cup maida, ¾ cup cocoa powder, ½ tsp baking powder, ¼ tsp baking soda and ¼ tsp salt. mix well using cut and fold method. now add ¼ cup milk and mix until the batter is a smooth thick consistency. do not over mix as the cake turns rubbery and chewy. transfer the cake batter into the square cake mould. bake the cake at 180 degree celsius or 356 degrees fahrenheit for 30 minutes. 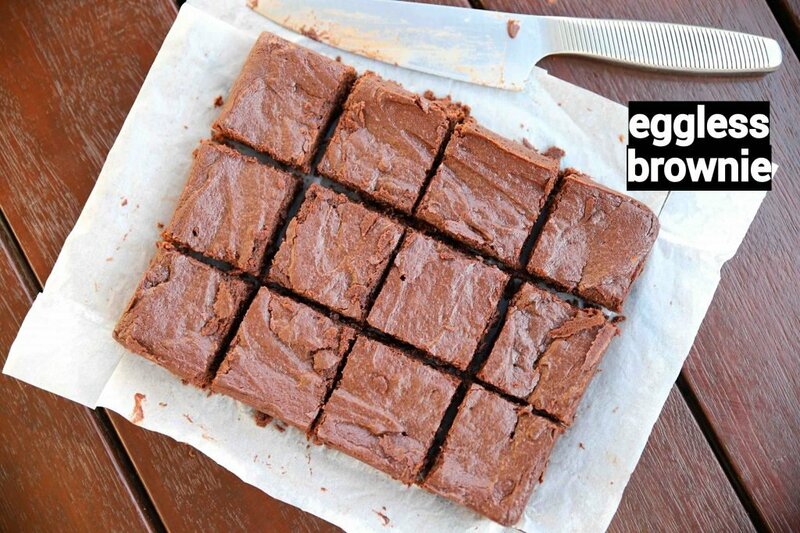 finally, enjoy eggless brownie cake cutting into the shape of your choice. 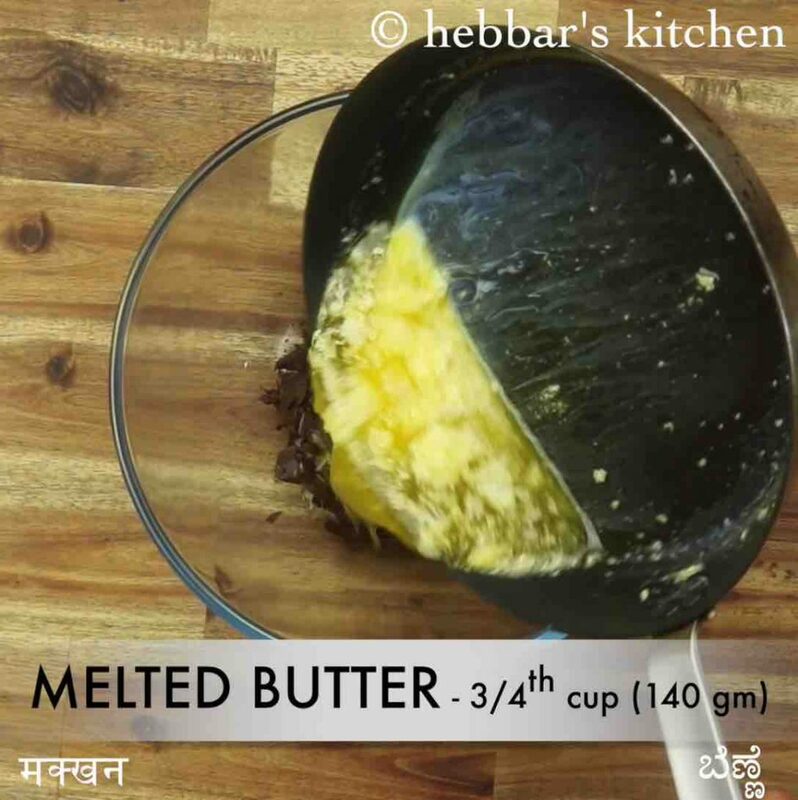 in a pan melt ¾ cup butter stirring occasionally. sieve the flour making sure there are no lumps present. transfer the cake batter into the square cake mould (width: 15 cm, height: 6 cm, length: 17 cm). make sure to grease the mould with butter to avoid sticking and line butter paper at bottom of the tray. pat twice to remove the air incorporated into the batter. 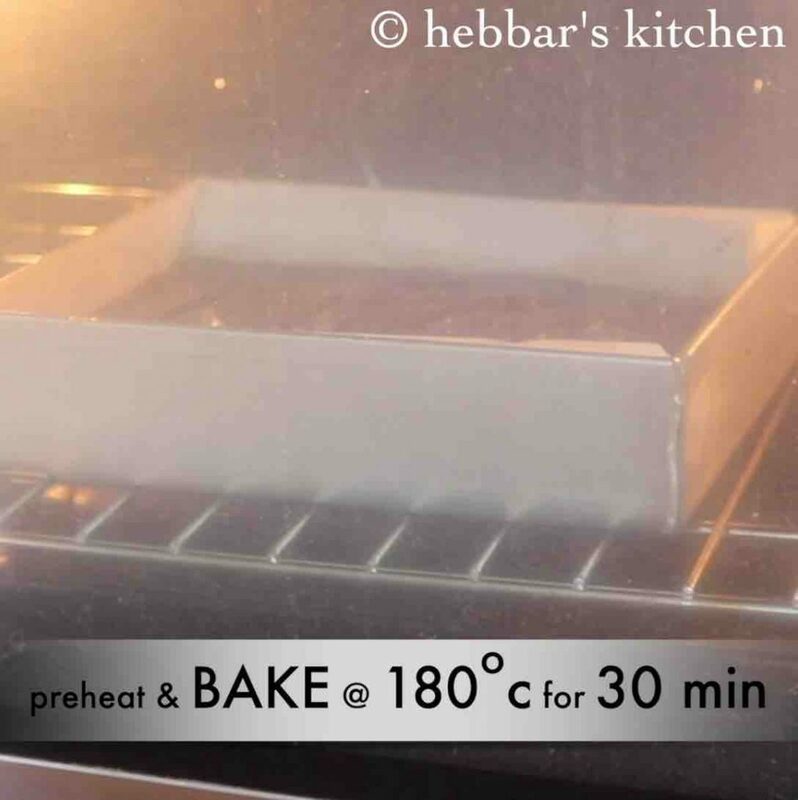 place the cake tray into the preheated oven. bake the cake at 180 degree celsius or 356 degrees fahrenheit for 30 minutes. or bake till the toothpick inserted comes out clean. cool the cake completely. you may see chocolate traces on the toothpick, indicating the cake is fudgy. 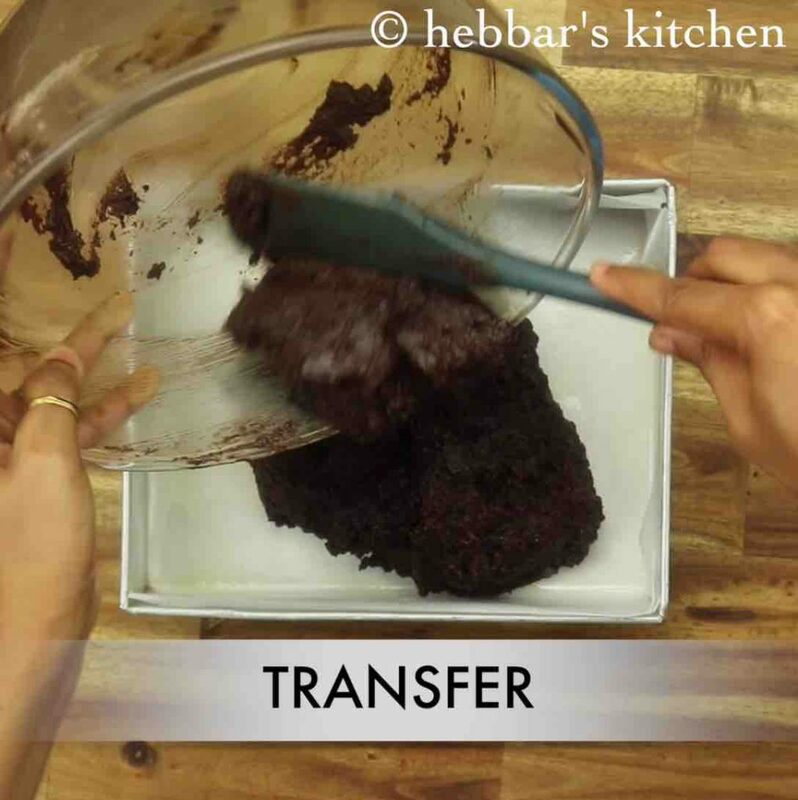 firstly, use good quality dark chocolate for a more rich and fudgy brownie. 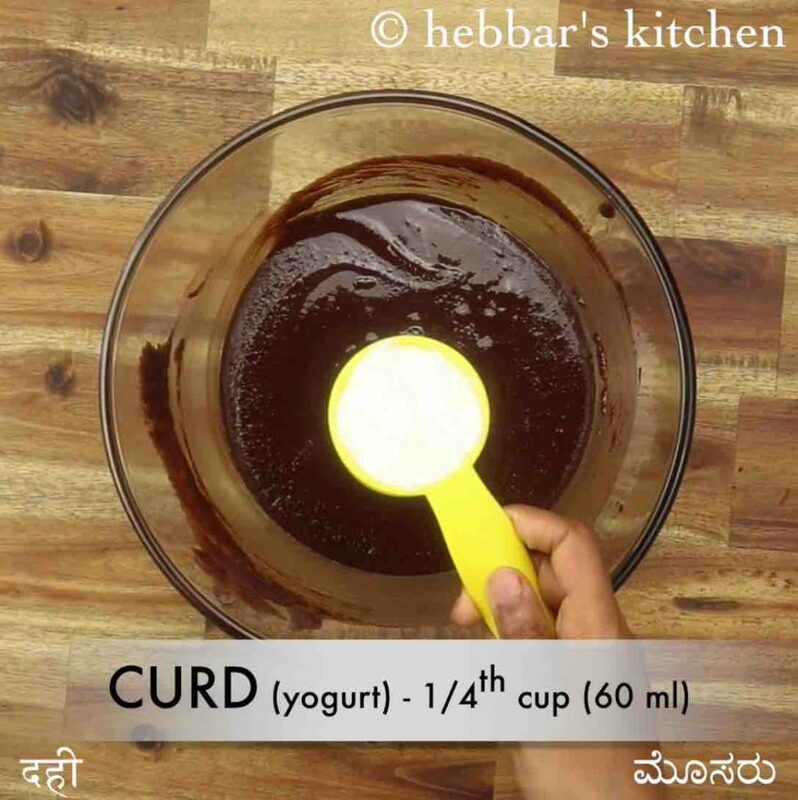 also, since the brownie doesn’t contain egg, make sure to add curd or 1 tsp vinegar. additionally, you can add few chopped chocolate pieces or dry fruits into cake batter before baking. finally, eggless chocolate brownie recipe stays good for a week when refrigerated.